September is National Senior Center Month and we are recognizing the vital service each Senior Center provides in our communities. 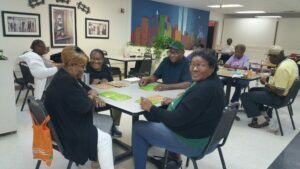 In Union County, Champagnolle Landing Wellness Center serves as a hub for older adults connecting them to essential services that improve over all health & increase independence. 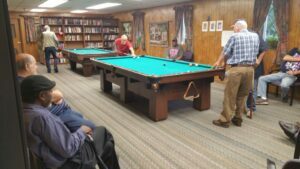 Located at 910 Champagnolle Road in El Dorado, it is fully equipped with a dining space, library, TV room, computer lab, pool table & fitness center, this Center is the prime location for seniors to socialize, eat & exercise in Union County. The Wellness Center is accessible by stairs or elevator. The fitness center is designed around an outdoor park like theme, with a walking track & plenty of exercise equipment. 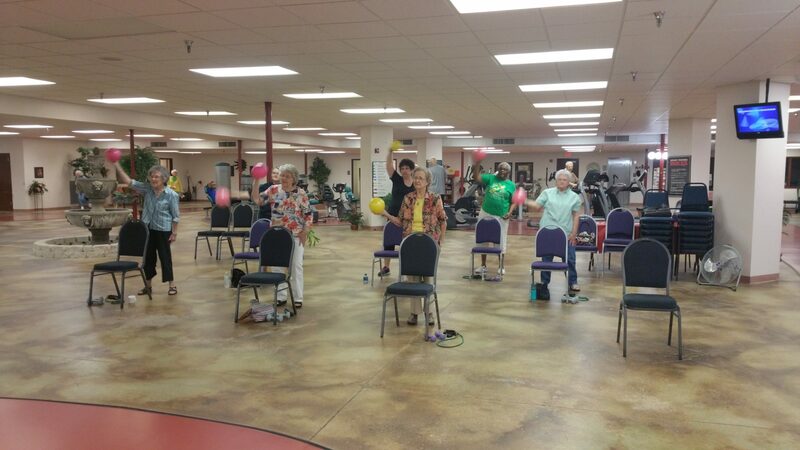 There are a number of activities and services available at the Champagnolle Landing Wellness Center to enrich well-being, increase socialization & simply add fun to the lives of aging adults. To participate in the activities offered, you just need to be a Union County resident age 55 and better. According to the National Council on Aging, research shows that older adults who participate in senior center programs experience measurable improvements in their physical, social, spiritual, emotional, mental and economic well-being. With the large baby boom generation approaching retirement, senior centers will continue to develop new programs and opportunities to meet the needs and interests of this dynamic generation of older adults. Please join us in thanking our Senior Center, and the dedicated staff members, for the vital role they plan in our communities. For more on membership, how to get involved locally & donation information please contact Champagnolle Landing Wellness Center at 870.862.2230 or UAMS South Arkansas Center on Aging Education Center at 870.881.8969.